It’s clear that side hustle fever is well and truly upon us. Research commissioned by NBN Co revealed one in four Australians are going online outside of their regular job to pursue their passions or earn extra income. Sides hustles are great hobbies, but if you have the desire to turn what you’re doing into something more, it’s important to assess whether there is real opportunity for you to grow your side hustle into a sustainable business. Jodie Imam, entrepreneur and startup mentor at the Wade Institute of Entrepreneurship, shares her advice on what to ask yourself if you’re considering going all in on your side hustle. 1. How much time is this taking up? If you’re working on your side hustle around 1-2 hours per week then it is very much still a hobby. On the other hand, if you find you’re spending 20+ hours on your side hustle, and that time is spent fulfilling customer orders, that indicates real demand. You just might have the makings of a business on your hands. Even if you long to, you know you can’t realistically quit your job for a side hustle which doesn’t pay you enough to live. With any startup idea, it’s critical to build a financial model to understand when and if your idea can make money. It’s important to put some assumptions down on paper. Do a financial forecast of potential revenues and expenses. You should plan for a ‘director fee’ or wage for yourself from at least year two. In year one, there may not be enough profit for you to pay yourself, so you’ll need to factor this in. Also, give yourself a runway by staying in your job, using your savings, or selling an asset. If your idea relies on you to do all the work, like a consultant or graphic designer, then it’s hard for you to grow this beyond the number of hours in a day that you can physically work. While this could still be a great business, it’s likely to be a relatively small one. It may be hard to make enough money from your side hustle hours to give yourself a runway and quit your regular job. At Wade Institute, we teach aspiring entrepreneurs to think greater than themselves; to create products and services backed up with business models which support their enterprise living beyond them. Think about whether your side hustle fits into this category. If your customers are your family and friends then you probably still have a hobby supported by loved ones. If you’ve identified a target customer demographic and the channels to effectively sell to them, then it looks like you have yourself a business opportunity. One of the biggest lessons we practice at Wade Institute is customer validation. Our University of Melbourne Master of Entrepreneurship students go out and talk to over 100 potential customers through interviews and surveys. This critical information helps inform them of what their potential customers might want from their business. Validating assumptions is critical as it saves your time (and money) going down the wrong rabbit hole. A lot of great side hustles aren’t suitable to scale because they’re missing at least one of these key determining factors. This is OK – it may just mean the business needs to pivot into a new target market or shift some gears in the business model. 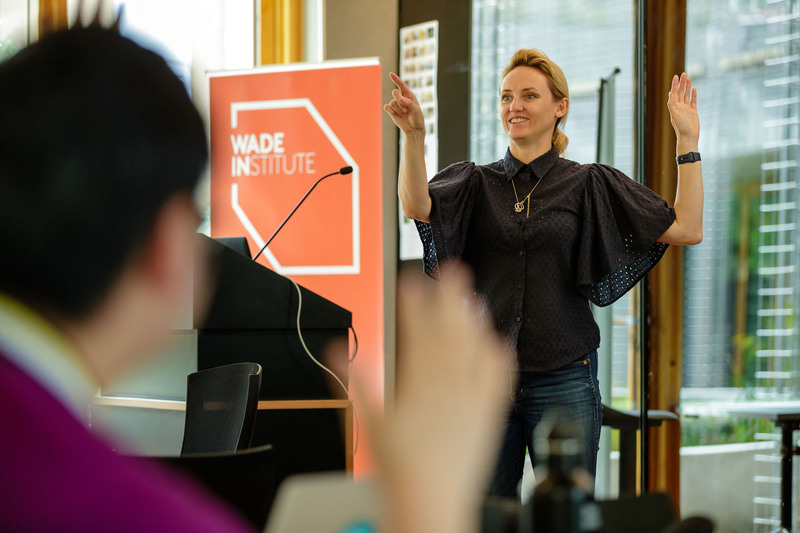 Wade Institute of Entrepreneurship is a leading centre for entrepreneurial training delivering programs to accelerate learning, creation and connection.